I had the privilege of meeting Bozoma Saint John recently; an accomplished marketer, brand strategist and so much more. When asked what she deems her proudest accomplishment (and she has a long list), her answer was simply relationships. The relationships that she can carry from project to project, even job to job. Those are a true measure of success and can really help when you need it. With the season of giving upon us, I can think of no better time of year to volunteer and build those relationships. Join us on Thursday, December 6 for our Annual Gift of Communication. The event provides an opportunity for local nonprofit organizations to receive a free consultation workshop from communications professionals and offers local professionals (you) a way to give back to the community. If you would like to nominate a nonprofit or volunteer, let us know. Don’t forget our annual survey has hit your inbox. Your feedback is a gift and we value it immensely. Thank you in advance for taking the time to let us know what we’re doing well and where we can adjust. Survey participants will be entered into a drawing for a Starbucks gift card. Don’t miss out! Wishing everyone a wonderful start to the holiday season. This event will include consultation and networking with some of the top communications professionals in the Oklahoma/Arkansas areas. Volunteer your time to help local nonprofits reach their communications goals, while learning from other communication professionals in the area. Let us know you’re coming by December 5! Bronze Quill recognizes outstanding employee communications, public relations, media relations, community relations, government affairs and marketing communication efforts. Bronze Quill is open to all communicators – members and non-members alike. Did you know, we also have student categories as well? Submit your entries early and save! Visit the new entry site at iabctulsa.awardsplatform.com. 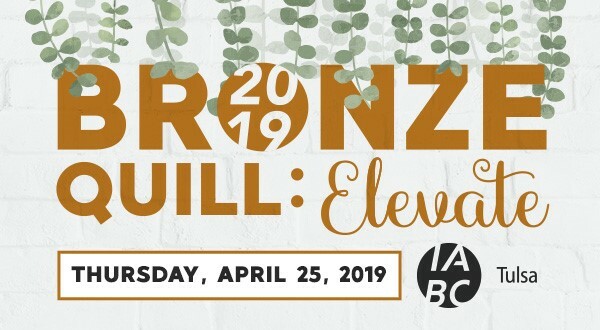 Go to IABC Tulsa’s Bronze Quill page to download entry templates and guides to help you prepare your entry. The final deadline to submit your entries is Friday, February 15, 2019. In addition to our entry winners, we will recognize three exceptional communicators. Review the descriptions below and nominate someone for a special award. For questions, sponsorship information or to nominate an individual for one of the above awards, email awards@iabctulsa.com or call Ashley Cleveland at 918-947-7251. Why do you love your job? It is a challenge I never expected. After 11 years focused on internal communications, I recently transitioned to our technology organization. I hope to bring a communications focus to a tech team, so users will know the great things produced for them. How long have you been a member of IABC? 11 years. Have you ever served on an IABC Board? Yep! I have served in every role found in most chapters except VP of Awards and President. I served these roles in three chapters: Fort Worth, Arkansas and Tulsa. 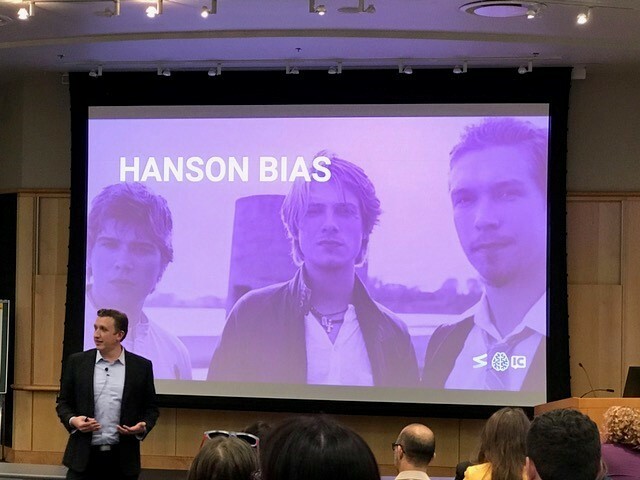 What is the best IABC meeting/conference you have attended? Why? I always love attending the Southern Region Conference. The folks who attend are close enough geographically that relationships can be easily maintained but different enough that you can learn something from your new friends. How has IABC played a part in your professional development? I landed my two of my last three career moves with the help of IABC. I reached out to the President of IABC Arkansas when I wanted to move back to Arkansas. She had previously worked at the company where I was interviewing. She gave me tips about working there and what the position might entail. 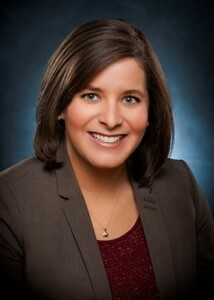 While attending the 2011 Southern Region Conference, I met the President-Elect of IABC Tulsa. When I moved to NW Arkansas, I reconnected with her, so I could find friends and professional networks while I was working from home. She helped me make both personal and professional connections that directly led to my first position at Walmart. What is your favorite thing to do outside of work? Travel with my family. We try to go somewhere new and interesting about four times a year. What’s your favorite vacation spot? My husband and I honeymooned in Uvita, Costa Rica, and it remains one of my favorite vacations. We surfed, white-water rafted, waterfall repelled, snorkeled, hiked, zip-lined, drove almost to Panama and generally had a fabulous time. Who is your favorite musical artist? There are so many! I never miss a chance to see Dave Matthews Band, Reckless Kelly or City and Color live. Which website or app do you visit daily? I listen to at least two podcasts a day, so my Apple Podcast app gets a lot of use! If you have not checked out Malcolm Gladwell’s Revisionist History or Radiolab’s More Perfect, I recommend them! What is your favorite restaurant? I have a favorite in each city. My favorite in Tulsa is Mi Cocina because it is a little connection to Fort Worth – good Tex-Mex is hard to come by in Arkansas! How will we recognize you at the next IABC function? I will most likely be early and with other people from Walmart. We have always traveled in packs to IABC functions! Complete the following: The future of the field of communications is digital. I have said the same thing for years. If you don’t understand how to communicate digitally and how your digital platform works, you will be left behind. I started learning the technology behind digital platforms when I first started my career. Understanding technology was vitally important to every step in my career. It is still a rare combination of skills that is valuable. What advice would you give to new communications professionals? Learn as much as you can from anyone willing to share. And find out who is willing to share by getting outside of your comfort zone and ASK people to share. You will be surprised at what people are willing to do for you if you ask. Thank you to all those attending, speaking and sponsoring this year’s IABC/PRSA/AMA Communicator’s Summit! It was a huge hit, doubling our attendees from the previous year and with tons of great takeaways by our presenters. Afternoon keynote Chuck Gose even gave us a shoutout on his blog. Your support makes events like this possible; thanks for supporting local orgs! 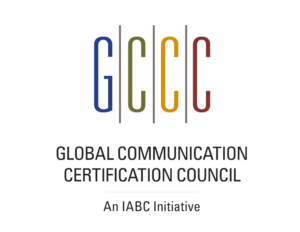 IABC is bringing the CMP (Communication Management Professional) and SCMP (Senior Communication Management Professional) certification exams to Tulsa on April 13. Here’s what you need to know. Interested in getting certified? Fill out this form and email it to us with details on which level you’re interested in: Communication Management Professional (6-8 years of experience) or Strategic Communication Management Professional (11+ years of experience or by recommendation). We can share information about how to get the process started and help identify training hours completed with IABC. Send a shout out to these members celebrating anniversaries in November.